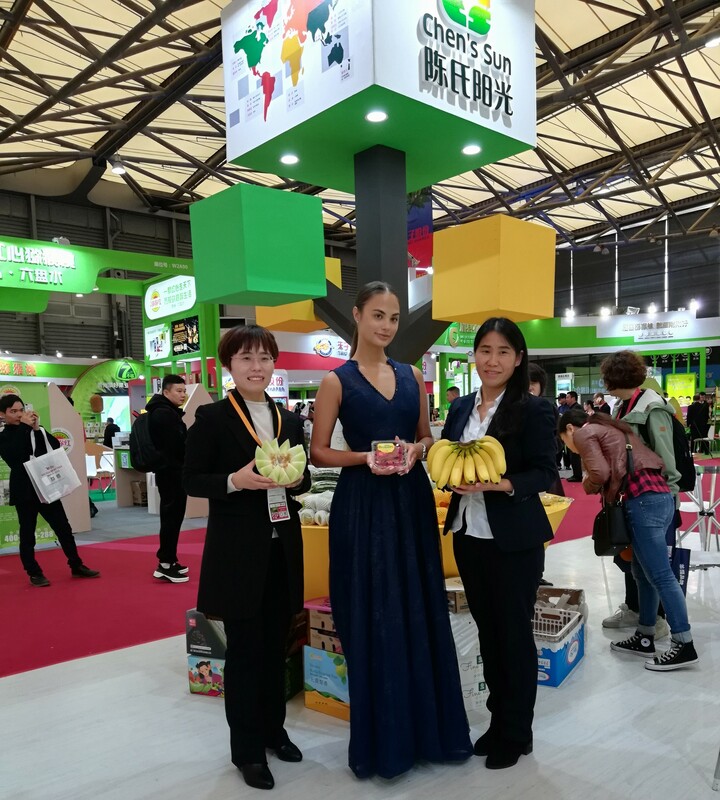 Chen's Sun is a China based fruit importer and distributor, which supplies more than 100 fresh fruit products from over 30 countries, a selection of which were on display at the company's booth at last week's Horti China Fresh trade show—part of China Green Week, organized by VNU Exhibitions. 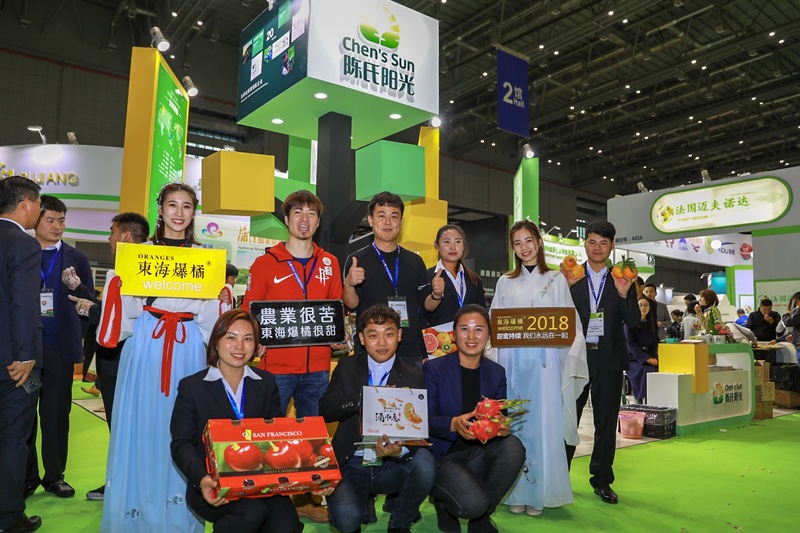 Chen's Sun reports that it has roughly RMB 1 billion (USD 144 million) in annual turnover, making it an important supplier of imported fruit within China. What makes Chen's Sun a bit different from other importers is that it is not based in one of the large coastal cities like Shanghai or Guangzhou that have traditionally been at the hub of the imported fruit business. Instead, Chen's Sun is based in the city of Zhengzhou, an up-and-coming logistics and air freight hub. Zhengzhou is also capital of Henan Province, China's most populous province, with a population of roughly 100 million people. Although Chen's Sun distributes all around China, Harvey Fan, International Purchasing Manager for the company thinks that Zhengzhou and surrounding provinces such as Hubei, Hunan, Shaanxi and Anhui, which are sometimes called "Central China", will be the next centers for growth of consumption of imported fruit in China. This densely populous and rapidly development is sandwiched between China's early-developing eastern and southern coastal provinces and the more sparsely populated and relatively underdeveloped interior areas to the west. "All the foreign exporters know Guangzhou and Shanghai," says Fan. "But those markets are becoming very mature now. Every time a big arrival of imported fruit gets opened at a wholesale market in one of those places, we can see the price going down. Such a big quantity cannot be absorbed in such a short time." Cities like Wuhan, Zhengzhou, Luoyang and Xi'an may not be as well known, but Fan believes suppliers trying to break into the China market would be well-served by paying more attention to them. "People in interior China are getting rich," says Fan. "And they're starting to have knowledge of imported fruit, and a willingness to buy imported fruit. Before, very few consumers inside of China were buying imported kiwifruit and cherries. Now all of our supermarket customers and other customers have started to buy those fruits." Fan adds that after years of growth in imported cherries, his company has had great success with South African Star Ruby grapefruit this season in Central China. "Last season we only did four or five containers. But this season we did 40 to 50 containers."